Nothin' Matters And What If It Did original record album autographed on the cover in black marker by rock star John Cougar (Mellencamp) and dated '95. Cover has moderate creases, wear and other flaws but is still suitable for framing. 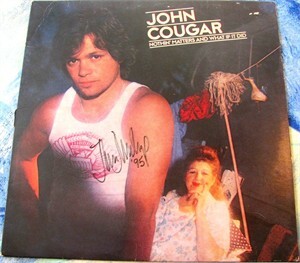 Record IS included but not autographed. With certificate of authenticity from AutographsForSale.com. ONLY ONE AVAILABLE FOR SALE.